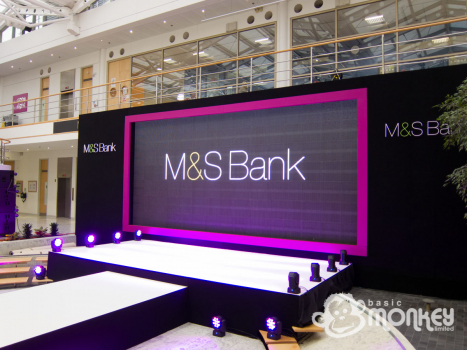 Marks and Spencer are launching a new personal bank account service and as part of this launch they held an internal event at their offices in Chester. To make the event stand out in the company’s bright atrium, CSP offered a large LED screen, built into a set. 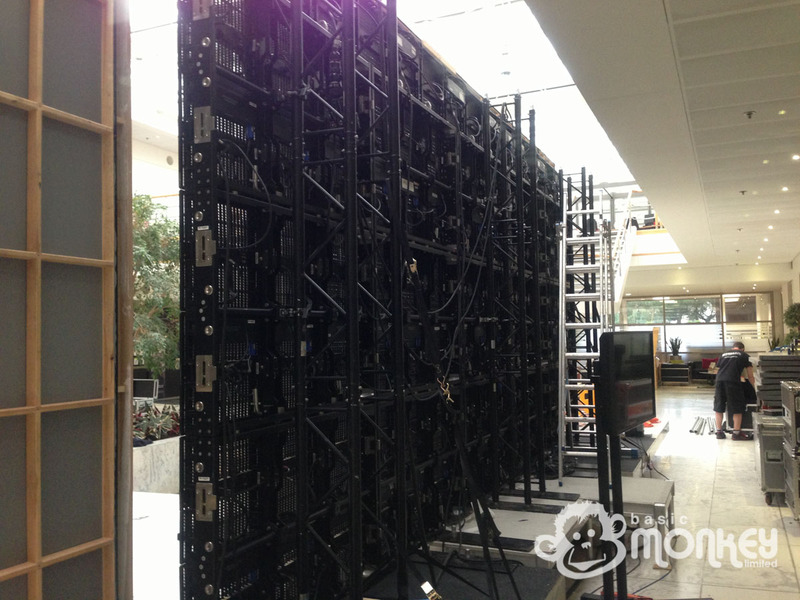 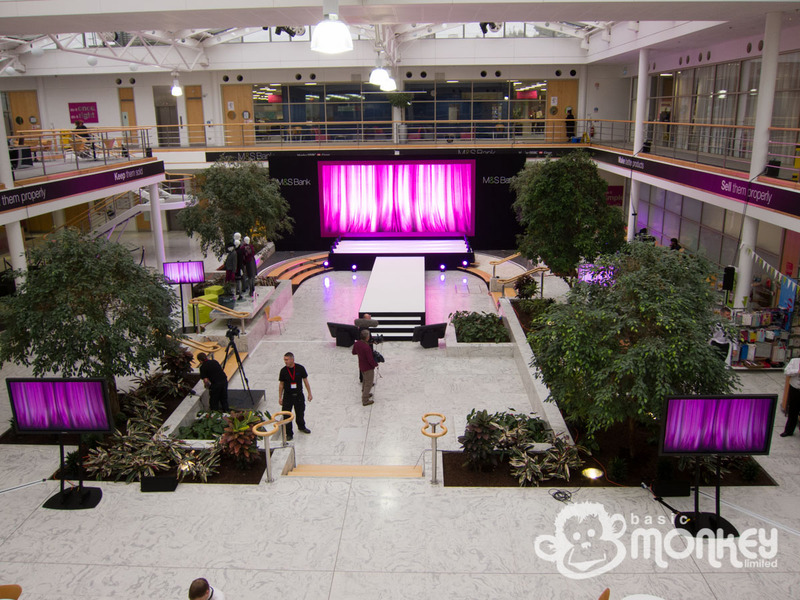 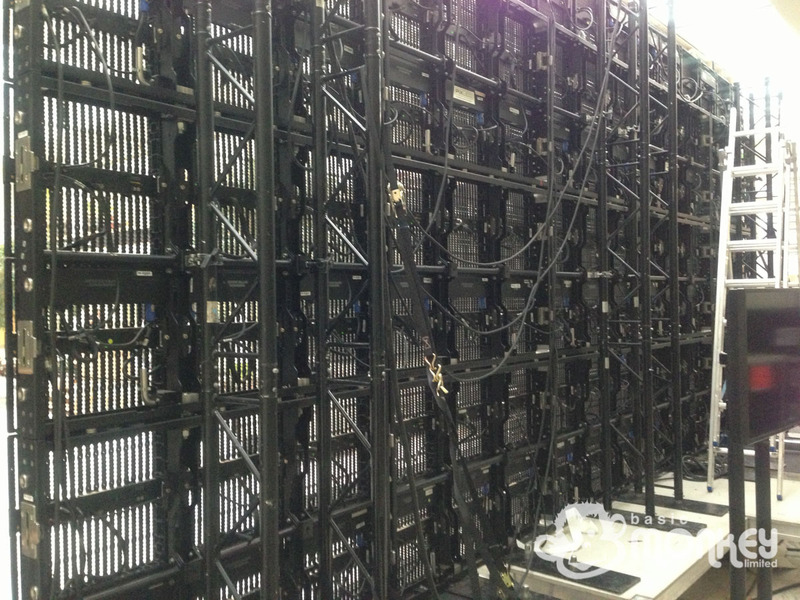 Basic Monkey supplied a 2.7m x 6m 11mm LED screen, driven by our dual Catalyst media server rack. 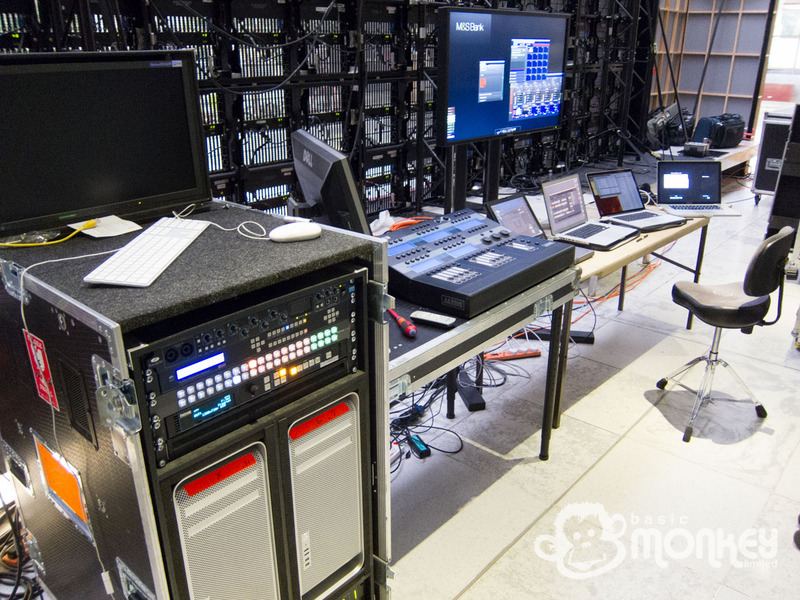 The Catalyst system took camera and keynote feeds and distributed them to the LED screen and LCD relay monitors around the venue. 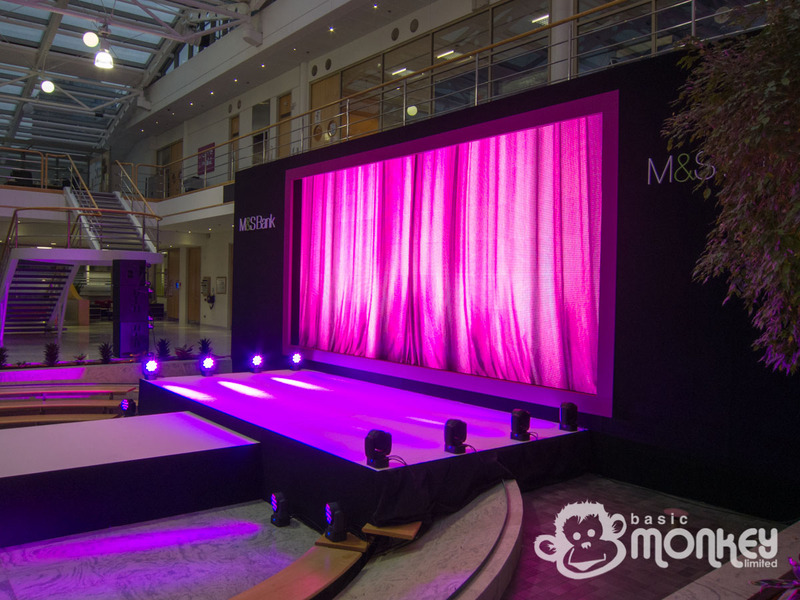 Taking advantage of Catalyst’s layering abilities, transitions were made using alpha channel curtains that could close across the screen, hiding what’s beneath.